That’s why baked pancakes are perfect. Simply whisk, pour, bake and they’re done. Easy peasy! How is Sunday Mother’s Day? How is it MAY already? I’m always on the hunt for easy breakfast ideas. Jordan is tired of cereal and she always wants pancakes but…I hate making pancakes in the morning. All that flipping makes me irritable. It just takes so loooooong and all I want to do is drink coffee and check Facebook. I think I need to teach Jordan how to flip pancakes. But then my kitchen would be even messier so maybe…not. Instead I’ll bake pancakes instead. It’s way easier and just as good. This would also be a great Mother’s Day breakfast. Jordan always wants to make me breakfast in bed and Mel usually looks at me like a deer in headlights whenever she says that. I can almost feel his anxiety. Slice. Place on a plate. Heat for 30 seconds not 30 minutes. Add 1/8 of the amount of syrup you would use. You know how many vegetables you like on your dinner plate? That’s how much syrup I want. Feel free to bring to me in bed, but it better be light out. Rather, it better be after 7am. I like to mix banana with the milk for my pancake recipes. I mash the banana, then add enough milk to make 1 2/3 cup. You can just use 1 2/3 cup of milk, but the banana adds a little extra sweetness and some vitamins to the pancakes. 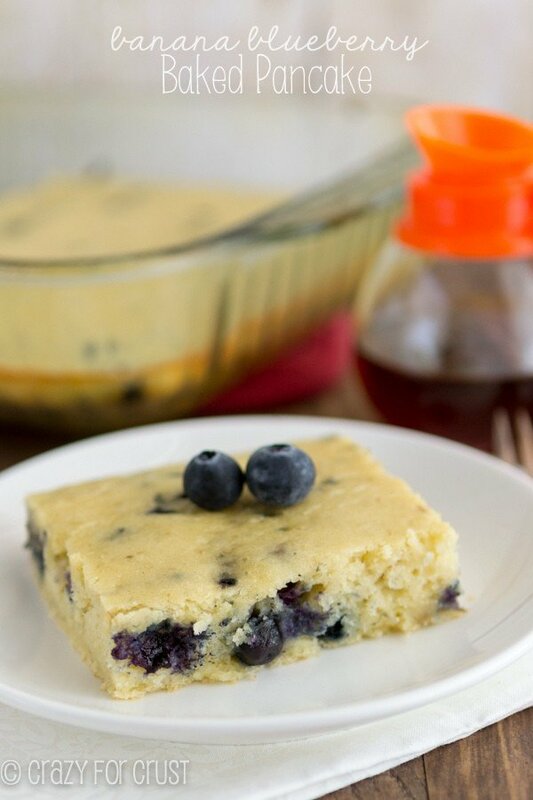 I used frozen mini blueberries in this recipe. Jordan won’t eat anything with big blueberries in it (read: normal sized ones) so I find mini ones frozen at Whole Foods. That’s the only place I’ve ever found them. 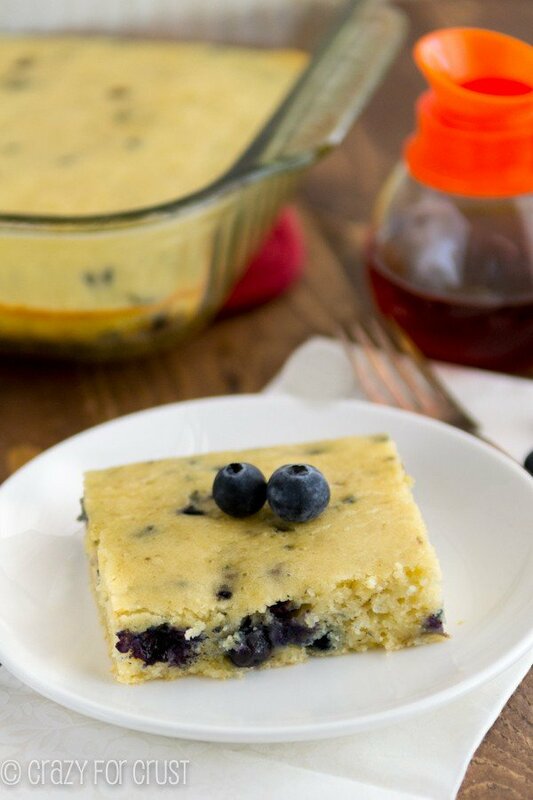 Feel free to substitute regular frozen or fresh blueberries to this recipe. Even canned and drained would probably work. After baking for about 30 minutes, the sides are golden but the top stays light colored. The result? A fluffy, soft, and sweet baked pancake! Serve it warm, or let it cool then slice and store in sandwich bags. Store leftovers in the freezer for quick school mornings! 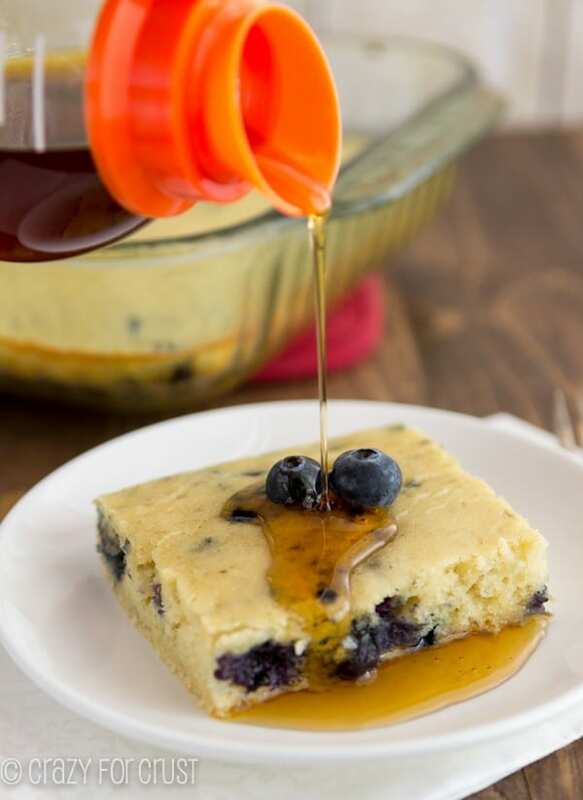 Baked Pancakes are the perfect any day Mother’s Day breakfast! A pancake made in a pan and BAKED! Preheat oven to 350°F. Spray a 9x13” baking dish with cooking spray. Whisk flour, sugar, baking powder, and salt in a large bowl. Set aside. Pour milk mixture into the dry ingredients and whisk until smooth. Stir in blueberries and pour into prepared pan. Bake for 22-25 minutes, until it starts to get slightly golden around the edges and is no longer wet-looking in the center. It won’t get very brown on top. Cool slightly before serving with syrup. Eat warm, or slice and store in an airtight container in the refrigerator. Or place in ziploc baggies and freeze for up to 1 month. Great for reheating in the microwave for fast breakfasts! I always make my husband make pancakes when we have them, because I really don’t like flipping them! I need this recipe! I hope you have a great Mother’s Day! Thanks for mentioning my pancake muffins! Dorothy, that would be the cutest note ever to your kid! Especially the part about the vegetables… Priceless! I bet even Mel could handle this, or at least bring you coffee in bed for Mother’s Day. Compromises, right? 😉 I’ve actually seen frozen wild blueberries (the tiny ones) at Safeway by the O Organics brand. They’re actually my favorite, and I always keep a bag in the freezer! Awesome tip about the banana too — my mom would love that! I totally want to wake up to this on Mother’s Day! I think my husband can handle making this! i want to make baked pancakes. this looks great! 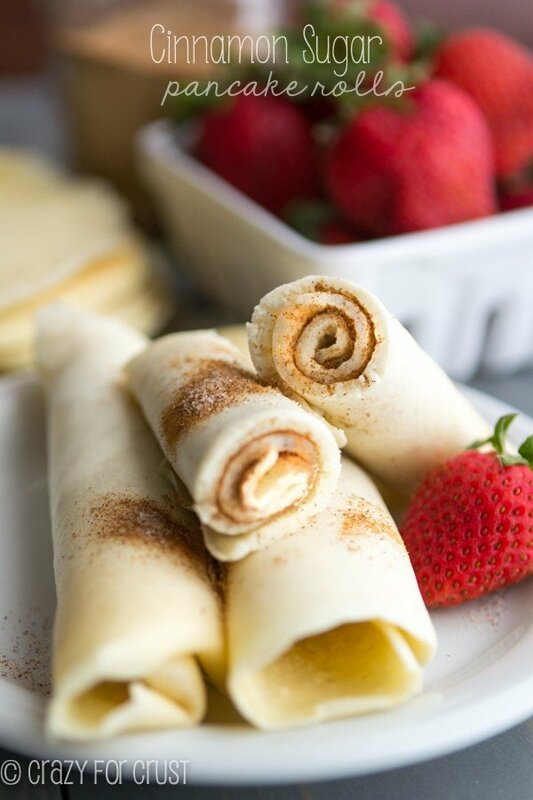 What a great idea – to bake pancakes! Maybe, I am behind the times, but I’ve never seen this method before. Love it! 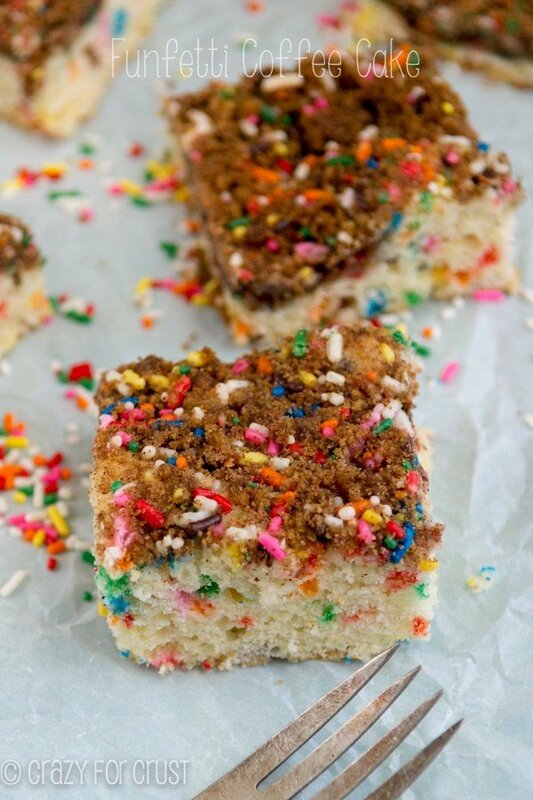 Looks so light and fluffy, too! My mind is blown by the idea of not having to flip pancakes ever. This baked pancake is amazing. Thanks for this. I made these for my mom! I do NOT know my way around the kitchen to save my life, but this recipe appealed to me. This recipe was super easy but unfortunately the taste was so-so. The trouble is that I didn’t have a banana and used all milk. I think the banana would have brought out more sweetness. I will definitely try again!! For the record everyone did like the baked pancakes–they just weren’t what I expected. I also made the rookie mistake of substitions: more milk for the banana, some stevia in place of some of the sugar, and fresh blackberries and strawberries instead of blueberries. It’s definitely it’s own texture – like a cross between a cake and a pancake. And yes, you can totally use all milk, but the sweetness from the banana would be missed, surely. (Or just pour on more syrup, ha!) Thanks for letting me know! Just made this for breakfast. So yummy! Great recipe. I will definitely make this again. I used frozen cut up peaches instead of blueberries. Also added some cinnamon to the batter and sprinkled cinnamon/sugar mix on top. So delicious and my 4-yr-old daughter even asked for seconds! I am going to try this in the fall with pumpkin instead of banana and maybe add some nuts. I love that I can cook it in the oven while cleaning up my dirty dishes. Again, great recipe! Oooh pumpkin. I might have to steal that idea!! 🙂 Thanks so much and I’m glad you liked it!! 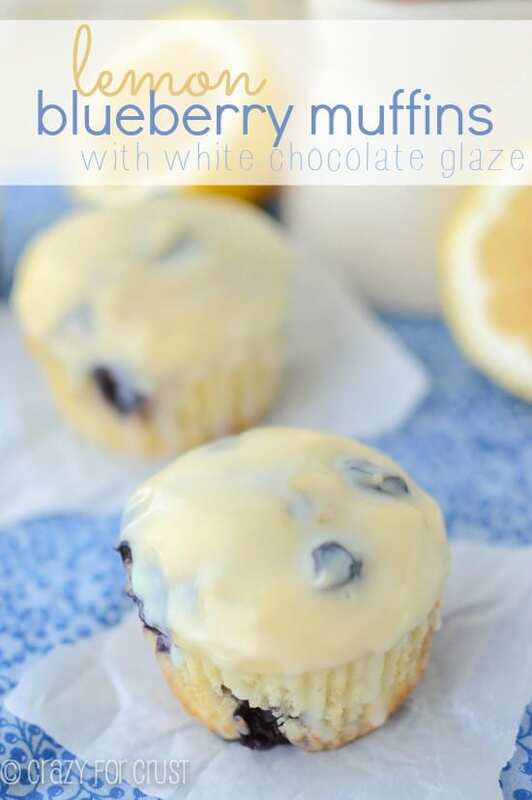 I’m late in the game but these are … EASY and YUMMY! My husband and I loved them but our daughter thought they were too banana-y. Any advice? You can reduce the amount of banana and replace it with milk. I haven’t done it with this recipe, but with my normal pancakes you want the total liquid to be a certain amount, and I just replace some of that with banana. Reduce the banana or omit, and just use a total 1 2/3 cup milk or banana/milk mixture. Again, I haven’t tried that with this recipe, but I’m fairly positive it would be fine! We love baked pancakes! 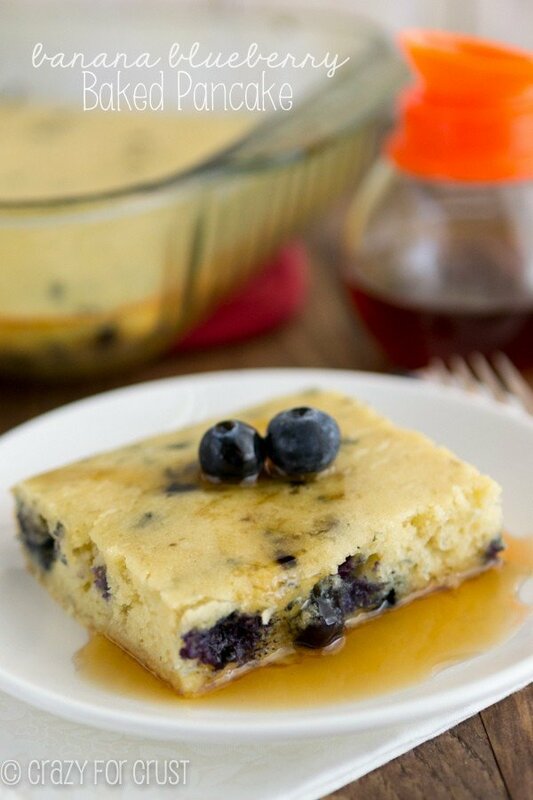 This was a fabulous version – I love blueberries in/on pancakes. 🙂 I used white wheat flour and coconut oil. Delish! Great to know! I’ll have to try it with coconut oil, I love that stuff!